and rarely take their work for granted." Well, I guess it's time to finally get back to work. But if you have to work, it's not so bad if you are in two beautiful cities -- Oslo and Bergen. I've been to Oslo twice already, teaching swing and tap, and this time I'll be meeting a whole slew of new tap students through the TICKLETOES (Their website is in Norwegian, but it's got a lot of jun pictures!). I'll be teaching all weekend, but having lots of fun at the same time. On Monday, August 21, my cousin Bryan (whom some of you have met) and I will be taking the scenic train across Norway -- and (unusual for me) taking our time. We plan on taking the historic route down to Flam and staying at the Heimly Pensjonat. Take a look at the Flam website and you'll see why I'm so excited about this trip!!! Bryan, works as a successful actor in England, and is in between shows -- so this will be a fun holiday together. Then on Thursday, August 24, we arrive in Bergen, where I begin the second teaching weekend. The entire trip was arranged by tap instructor, Vibeche, who brought me over last year (so, a big round of applause for Vibeche!). I'm really looking forward to seeing everyone again from that trip. I would never be able to go away and keep things going if it weren't for all of you. Thanks to Ron, for teaching the Tuesday nite classes (and it's not too late to join! Just show up, he'll register you). Thanks to all the Rhythm Club volunteers for keeping that night going: Jessica, Capt Fun, Julia, Nathan & Crystal "The Sweethearts of Swing", Robert "The Professor" Vangor, Mike, Jon, Jamie, Sharlene... and anyone else who pitches in. 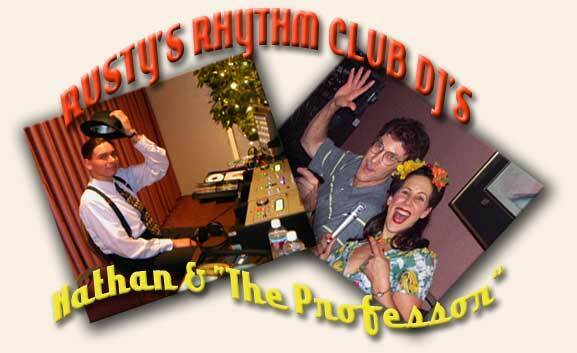 THANK YOU FOR SUPPORTING THE RHYTHM CLUB WHILE I'M GONE!! We have a great line-up of bands for August. I thank you in advance for supporting live music and making a point to go out dancing at the Rhythm Club while I'm away. I know I won't be here to nudge you out of your cozy homes to do the "turn around" (that awful moment when it seems so nice to stay home instead of turning around to go out dancing... but once you get to the club you are soooooo happy you did it and can't imagine why you almost didn't!). So take this as your "gentle shove" from Rusty for the next few weeks to get to the club and support those live bands -- they love coming to the Rhythm Club and playing for you, because you really appreciate them, and they tell me over, and over again how much they feel that. "THE MASTER TRACK -- IT'S ALL ABOUT YOU!" Ladies, if you would like to get one of these spots.... tell Ron Campbell (ron@rustyfrank.com) If you would like to reserve your spot for a future series , email us asap: info@rustyfrank.com. Rusty and Ron now have a series for those who want to take their dancing to the next level. The course, entitled "The Master Track - It's All About You" is limited to twelve students. The June-July series is fully booked, but we are already taking reservations for September-October. The eight-week course focuses on your own dancing. Each week, Rusty and Ron will be working with each of the students individually and as a group in a series of exercises and challenges. The students will be video taped each week, the tapes will be studied as a group (in Lindy By The Sea's traditional upbeat, encouraging, and friendly environment) to examine individual areas of goals and progress. At the end of the eight week course, each student is presented with a dvd of their own dancing to track improvement and continue with on-going skills. This course will start up every eight weeks. The total cost for all eight classes, and the dvd is $100/per student, and includes a personal dvd of your work throughout the course. What a value! 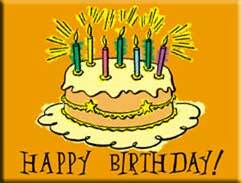 If it's your birthday this week, just let us know at the Rhythm Club so you can get your birthday dance! 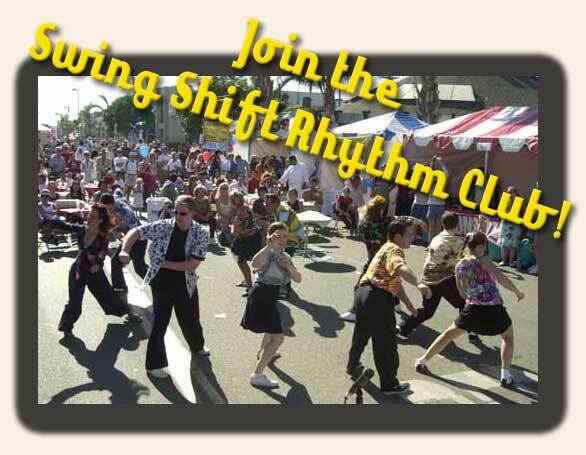 THE SWING SHIFT RHYTHM CLUB (SSRC), founded in 2000 by Rusty Frank's swing dance students. 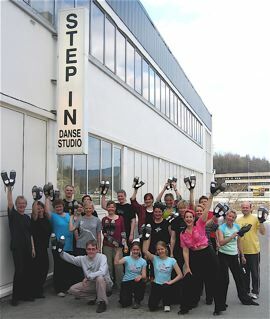 LINDY HOP NORWAY -- Here's another one to give you the travel bug!